Burnham is managing the process of issuing a Final Certificate of Occupancy (CO) for Lincoln Center for the Performing Arts (Lincoln Center), a 16.3-acre complex of buildings in Manhattan in New York City. A Certificate of Occupancy establishes the legal occupancy limits and allowable use of a building. All buildings require a CO and existing buildings are required to get a new or amended CO when construction will change their use, egress or type of occupancy. Additionally, no one may legally occupy a building until the NYC Department of Buildings (DOB) has issued a CO or Temporary Certificate of Occupancy (TCO). Burnham is currently handling this process for the Juilliard School at Lincoln Center, including managing the Temporary Certificates of Occupancy. We also obtained Temporary Place of Assembly Certificates for specific events at Lincoln Center. Lincoln Center is made up of 30 indoor and outdoor performance facilities including David Geffen Hall, David H. Koch Theater, the Metropolitan Opera House, and the Juilliard School. Each individual building requires its own Certificate of Occupancy. Over the last decade, Lincoln Center, including the Juilliard School, has undergone major renovations and additions, triggering the need for new COs. Burnham is currently facilitating the process for the Final CO for the Juilliard School as well as managing the regular and timely renewal of the Juilliard School’s Temporary Certificates of Occupancy. While working on the Final Certificate of Occupancy, the Juilliard School requires a Temporary Certificate of Occupancy. These certificates are good for 90 days, and need to be continuously renewed throughout the project to remain in good standing. Burnham facilitates the process each time the TCO is renewed, including updating all construction sign offs and related items. The Juilliard School had a TCO during the entire renovation of the building and chose to work with Burnham on their Final Certificate of Occupancy due to our extensive experience in this area. The process for obtaining a Final CO is extremely complex and can last for years. Burnham is familiar with all of the paperwork required for the Final CO, as well as how to navigate any objections, and uses a systematic approach to obtaining the Final CO. In order to receive the Final CO, the Juilliard School will need to be clear of deficiencies of any kind and must be reviewed for construction, plumbing, electrical, and elevator approval. A construction inspection is required to show the DOB that the work has been completed in accordance with the approved plans. Changes, or discrepancies, noted between the work completed and the original plans are very routine and do not mean there is technically a violation. However, a Final CO will not be issued until that deficiency is corrected. The DOB issues a Final CO when the completed work matches the submitted plans for the building alterations. This document confirms that the work complies with all applicable laws, all paperwork is done, all fees to the DOB are paid, all violations are resolved, and all necessary approvals and related sign offs have been received from other New York City agencies. Burnham also worked with Lincoln Center on a Temporary Place of Assembly Certificate of Operation (TPA) for a variety of different events, including several for the Metropolitan Opera House. A TPA is required for a temporary use of premises where 75 or more members of the public gather indoors, or 200 or more gather outdoors. A TPA is issued for events lasting less than 30 days, differing from a Temporary Certificate of Occupancy which is required while working on a Final Certificate of Occupancy. TPAs are issued by the New York City DOB and are approved on a case-by-case basis. Burnham’s expertise and knowledge of the NYC DOB ensured the TPA would be approved in time for the Opening Night Gala at the Metropolitan Opera House. At Burnham, a single Project Manager handles the entire Certificate of Occupancy project; the Juilliard School is able to work with the same person from beginning to end. 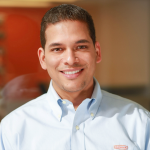 This, coupled with our familiarity with the NYC DOB and ability track client documents in our state-of-the-art database, allows us to meet our client expectations and deadlines. 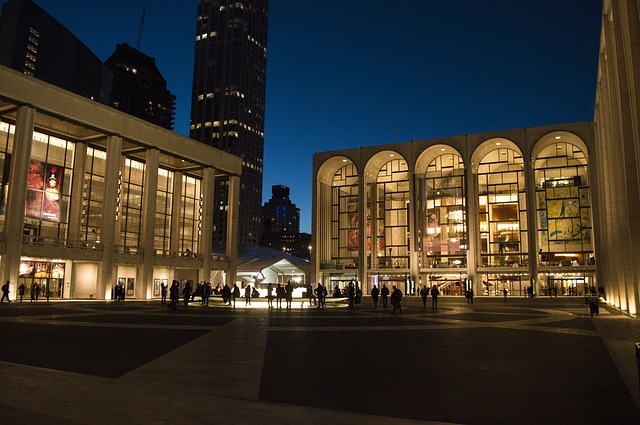 We at Burnham are proud to work with Lincoln Center, a historic landmark and cultural hub of New York City.